Want to take the financial journey to a new investing philosophy that might very well affect the rest of your moneymaking life? No one can guarantee the yellow brick road, but Michael Covel promises the red pill will leave you wide awake. Trend Following reveals the truth about a trading strategy that makes money in up, down, and surprise markets. By applying straightforward and repeatable rules, anyone can learn to make money in the markets—whether bull, bear, or black swan—by following the trend to the end when it bends. 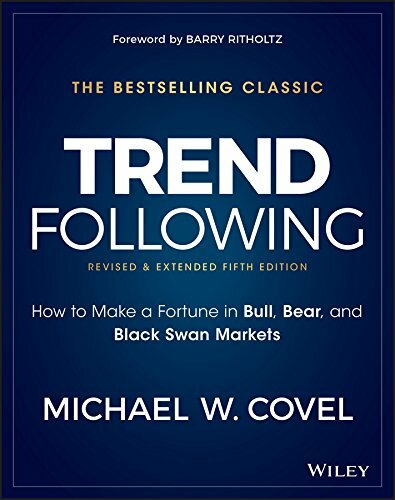 In this timely reboot of his bestselling classic, Michael Covel dives headfirst into trend following strategy to examine the risks, benefits, people, and systems. You'll hear from traders who have made millions, and learn from their successes and mistakes—insights you'll only find here. You'll learn the trend philosophy and how it has performed in booms, bubbles, panics, and crashes. Using incontrovertible data and overwhelming supporting evidence, with a direct connection to the foundations of behavioral finance, Covel takes you inside the core principles of trend following and shows everyone, from brand new trader to professional, how alpha gets pulled from the market. Trend following is not prediction, passive index investing, buy and hope, or any form of fundamental analysis. It utilizes concrete rules, or heuristics, to profit from a behavioral perspective. Trend Following is clear-cut, straightforward, and evidence based. If you're finally ready to profit in the markets, Trend Following is the definitive treatise for a complex world in constant chaos.